Young striker Tom Eaves has signed a new contract with Bolton, keeping him with the Championship club until 2016. 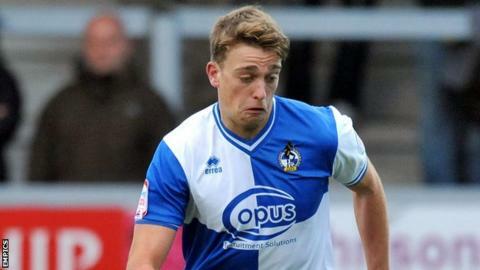 Eaves, 21, is yet to make a senior appearance for Wanderers, but impressed during a loan spell with Bristol Rovers earlier this season. He netted seven times in 17 games for the League Two strugglers. Meanwhile, BBC Radio Manchester reports Bolton are set to sign defender Gary Fraser from Scottish Division One club Hamilton Academical. The 18-year-old former Celtic youngster is expected to have a medical at the Reebok Stadium on Monday. Manager Dougie Freedman has made only one permanent addition in January - striker Craig Davies from Barnsley - while defenders Craig Dawson and Jan Gregus have both joined the Championship club on loan.